Lharimo hotel is a budget hotel that offers comfortable accommodations with excellent services to bring to the guests a memorable stay. The hotel is only a 5 minute walk away from the market place and is quite accessible. The hotel is seasonal and is only open for business from the months of May to October. The many services offered by the hotel are travel desk, doctor-on-call; wake up facilities, parking on site, power back-up, car rental and laundry services. Cultural programs and barbeques can be easily arranged by the staff on demand. 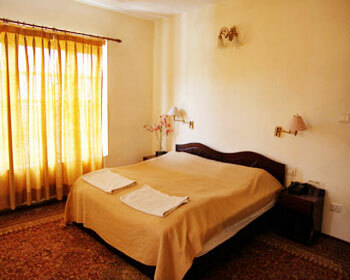 The hotel has 30 nicely furnished rooms that come with all modern amenities and offer a delightful stay. The rooms come in a single category of Standard room. A multi-cuisine restaurant is present on premises. 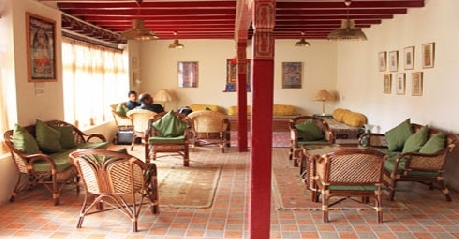 Standard rooms have traditional architecture with wooden paneling and soothing interiors. Standard rooms are nicely furnished with traditional furniture that includes single/double bed, luggage rack, coffee table, chairs and study table. The rooms offer great view of the scenic beauty around and have large windows that let sunlight filter through the room. An intercom facility and satellite T.V are the conveniences offered. Room service is offered round-the-clock. The en suite bathroom comes with running hot/cold water round-the-clock and is fitted in modern style. The multi-cuisine restaurant present on premises is a delight to dine in. 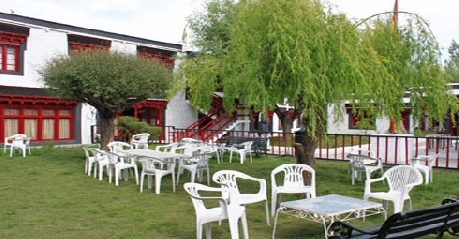 it serves traditional Ladakhi, India, Chinese and Continental food. Care is taken to prepare everything fresh and in true authentic style. The food is delicious and truly a delight to the senses. 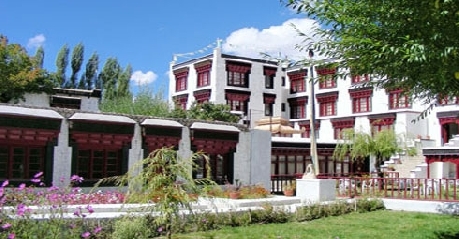 The specialty is of course Ladakhi food and is surely not to be missed.